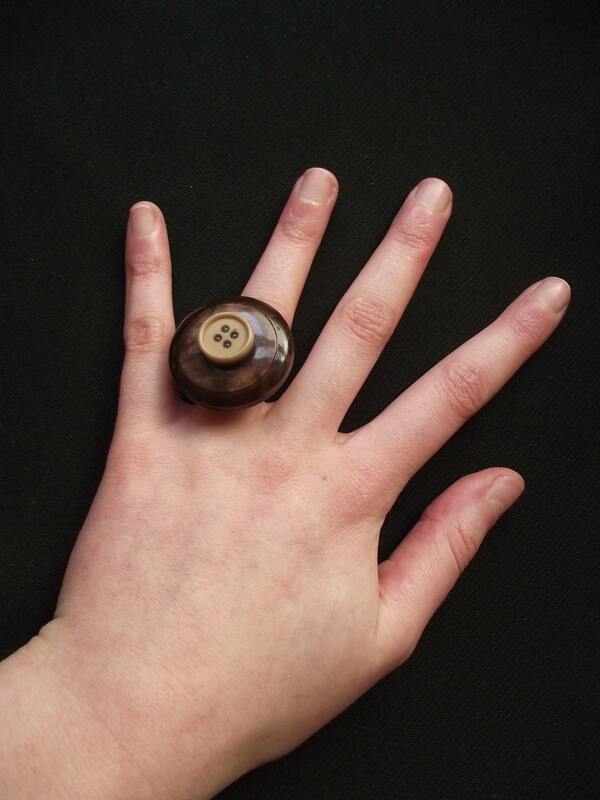 This is a brown double layered plastic vintage button adjustable ring which has been made from an adjustable blank ring finding, a brown large plastic vintage button and a brown small plastic vintage button. The brown large plastic button and the brown small plastic button are approx. 50 years old and are from my Mum's own button collection! Folksy :: Buy "Vintage Tortoiseshell Gold Ring"